AFTER years of rumours, the most significant breakthrough in mobile phone technology since devices became hand held is almost at consumer fingertips. 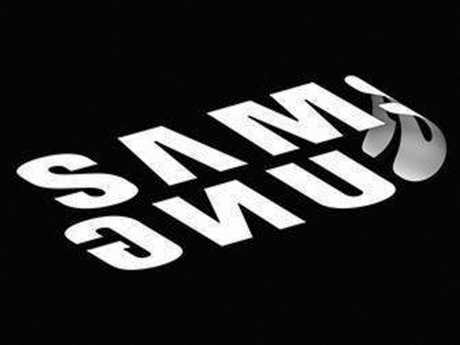 South Korean tech giant Samsung Electronics announced today the company is just months from releasing the world's first leading company foldable smartphone. 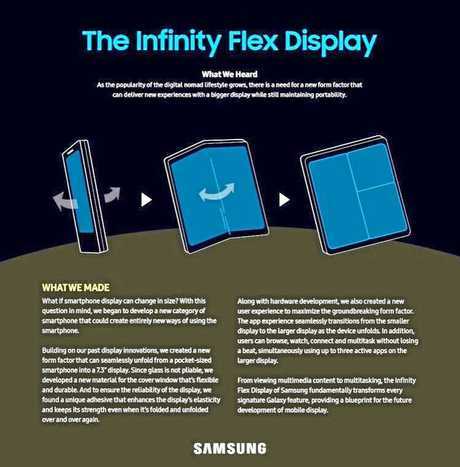 A far cry from the iconic flip phone, the future of mobile phone form - the Infinity Flex Display will have a flexible display screen that can bend shut - an advancement that will start the next major shakeup in the industry. It may mean the dual demise of the smart phone and the tablet as we know and depend on them, but if the reality meets long-awaited expectation the mourning period will be short. 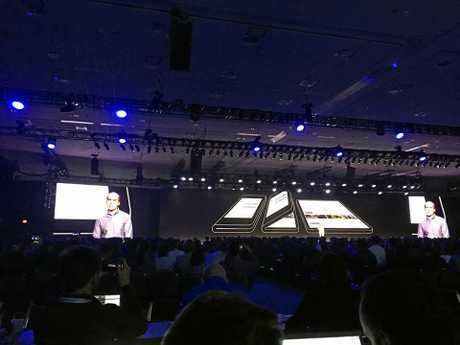 The new pocket rocket, that was unveiled at the Samsung Developers Conference in San Francisco, will have two screens - - a standard-sized display on the exterior that will act like a normal smartphone screen that opens, like a wallet, to reveal a sizeable 7.3 inch display. The decade-long engineering fete will not only change the flat, rigid face of smartphones, but its function, a Samsung spokesman said, allowing three applications to be open on the hand-held device simultaneously. 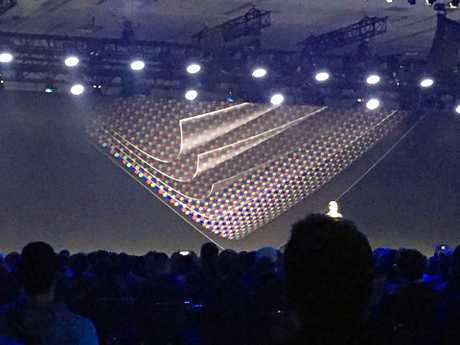 Justin Denison SVP of Mobile Product Marketing, who had developers on the edge of their seats at the Samsung Developers Conference when he pulled out a prototype of the new design, said the new innovation represents the biggest leap forward in mobile display technology in the past decade. "We've just added a new dimension. It is the foundation for the smartphone for tomorrow," he said. "We had to throw out old assumptions and re-imagine the display from the ground up." 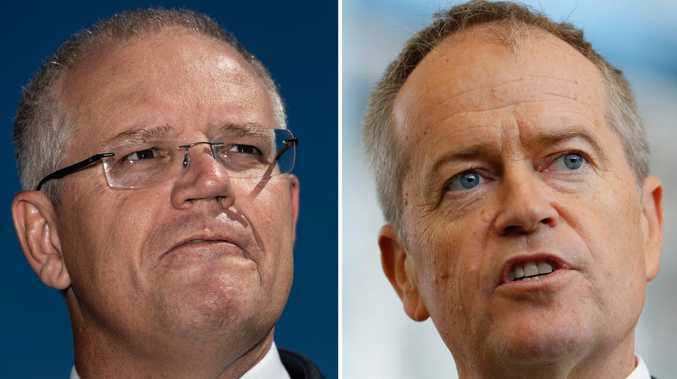 By laminating display layers together and heavily reducing the thickness of the polariser, Denison said the phone has been designed to be folded and unfolded repeatedly. It comes as no surprise to keen technological watchers that while we've been happily playing with Samsung's Galaxy Note9 and its marvellous S Pen, massive battery life and powerful onboard storage, the tech guru has been getting closer to making a flexible-screened phone viable. The development has been years in the making, with a Samsung Electronics spokesman saying it was hard to convey the magnitude of engineering a screen that would not break on bending. He said the future even exists for roll-able and stretchable displays. While the hardware nuts and bolts are still wrapped in secrecy, the tech company was keen to name the smartphones advantages. 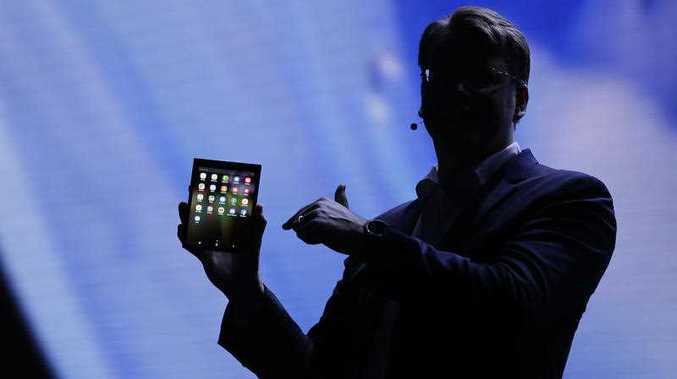 "Users now have the best of both worlds: a compact smartphone that unfolds to reveal a larger immersive display for multitasking and viewing content," a Samsung Electronics spokesman said. "The app experience seamlessly transitions from the smaller display to the larger display as the device unfolds. 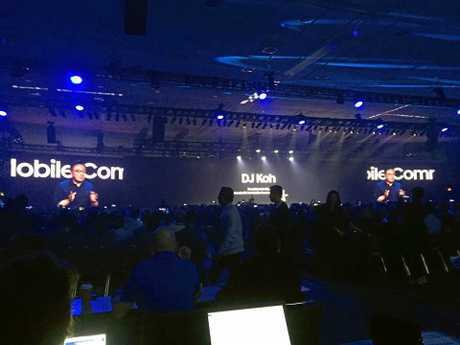 "In addition, users can browse, watch, connect and multitask without losing a beat, simultaneously using three active apps on the larger display." Denison confirmed Samsung was ready to start mass production in the coming months. 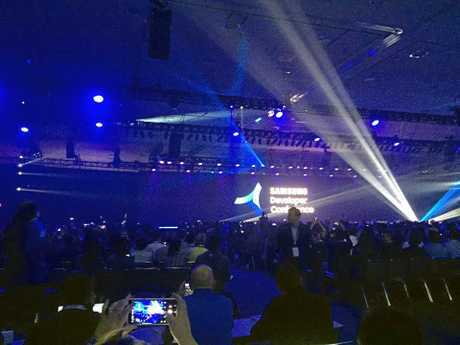 The writer is a guest of Samsung at the Samsung Developers Conference.